So far, in this series, we have covered Acute Care, Constitutional Care, Detoxification, and Homeoprophylaxis. There is also adjunct care. What this means is that there are ways to use homeopathic remedies to do additional work, other than just constitutional care, which is most common, or the other uses described in this series. 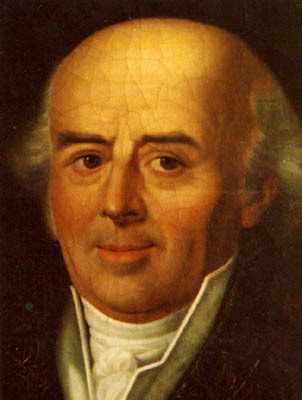 Samuel Hahnemann, MD, the founder and developer of the principals of homeopathy, began his work in the early 1800’s. He discovered the mental, emotional and physical symptoms are all related and covered with a single remedy. He chose his remedies on the principal of Like Cures Like. To Hahnemann, the seat of disease is the mistuned vital force. (The vital force in homeopathy can be compared to Xi in Chinese Medicine and Prana in Ayurvedic medicine.) This is classical homeopathy at its most fundamental level. 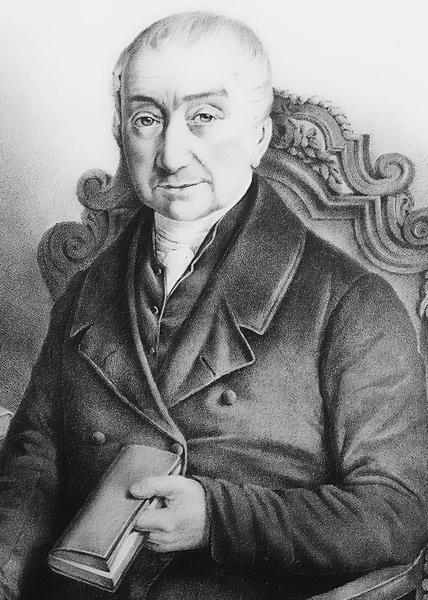 A contemporary of Dr. Hahnemann was Johann Gottfried Rademacher, MD. He also used homeopathic remedies but he used them differently than Hahnemann did. He looked at the organs in the body as the seat of disease, and thus, treated the organs themselves with certain remedies that had affinities for certain organs. But he did make a distinction of different remedies for the same organ. 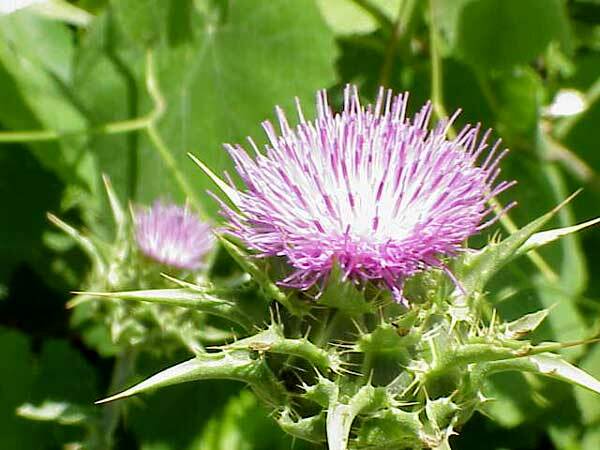 For example, two well known liver remedies are Cheladonium majus and Carduus marianus. Rademacher routinely distinguished in his writings and speech between a Cheladonium liver and a Carduus liver. He made similar distinctions for other organs as well. Although both practiced at the same time, Hahnemann and Rademacher used potentized remedies in a very different way, and both got excellent results. If you have a definite organ that is dis-eased, at Lotus Homeopathy, we can do classical homeopathy, or if required, first recommend organo therapeutics and then move onto classical homeopathy. The reason for completing with classical homeopathy is that often diseases today are caused by dis-ease which is the source of lifestyle choices we make. Classical homeopathy can help us all make better lifestyle choices, such as better diet, getting more sleep, etc. 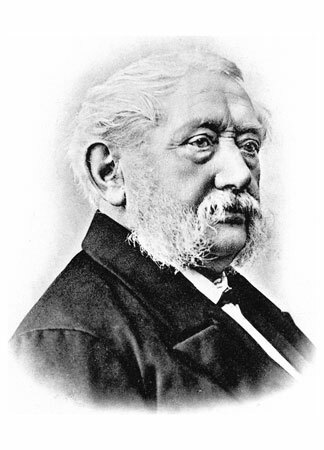 In the later 1800’s, the Tissue Cell Salts were developed by Dr. Wilhelm Heinrich Schuessler, like Hahnemann and Rademacher, was also a German Physician. He believed that all disease could be cured by the 12 salts that remained after a body decomposed. This was probably true in his time, but in today’s world, with many more toxins and suppressions caused by conventional medicine, cell salts can still help, but not everything. There are many books available about cell salts and you can easily use them yourself for what ails you, some major, some minor. The book I find myself using is Homeopathic Cell Salt Remedies by Nigey Lennon and Lionel Rolfe. There are many web site which explain cell salts as well. People often use more than one at a time or they alternate them through out the day. You can even get a combination of all the cell salts to take on a daily basis. I have not done this, so I can’t recommend this. If you have any permanently implanted foreign items, do not use the silica cell salt. I do at times recommend cell salts along with a constitutional remedy if the situation requires it. One of the previous topics in this blog series discussed detoxification, and that is certainly an adjunct therapy often used for conditions such as Lyme’s disease. I also use an adjunct therapy for chronic yeast infections. I find that therapies offered by others are often very difficult for clients to follow because they crave sugar. The adjunct therapy for chronic yeast resolves the sugar craving as well. Generally, at Lotus Homeopathy I practice mostly classical homeopathy, but when the situation requires it, there are other therapeutic uses of homeopathic remedies that are available to assist in healing. My previous blog post on What Can Homeopathy Do For You? discussed the use of homeopathy for acute care–colds, fevers, injuries, etc. This includes things that are generally self limiting, but often need a remedy to get you through it more quickly and comfortably. The next use of homeopathy is constitutional homeopathy. It really is the “bread and butter”, so to speak, of homeopathy as Samuel Hahnemann, MD, the founder of the principals of homeopathy, practiced it. Constitutional homeopathy means finding and taking a remedy that helps your whole being, helping to heal your chronic condition. So when you get a constitutional remedy, it is one that addresses the chronic symptoms you have. They might be mental and emotional, such as bad dreams at night, easy to anger, sadness, anxiety when you speak in public, etc. They can also be physical, such as cold hands and feet, excessive perspiration, monthly menstrual cramps, etc. Some symptoms encompass the mental, emotional and physical planes. These might include eating too much chocolate (or fill in the food you are currently obsessed with), biting your nails, etc. As you can see, it is hard to separate some of the symptoms into one camp or the other. Suffice it to say, they are all related if they are all packaged together in one body. So when someone comes in and says that they would really like a remedy for their heart palpitations, but they can live with the cold hands and feet, a homeopath can’t just help one of those symptoms. It’s all or nothing in homeopathy. Sometimes a constitutional remedy can also help acute illnesses. If you feel like you are coming down with something, but just have common symptoms, such as a slight runny nose, or feeling a bit tired, a dose or two of your constitutional remedy in a low potency (30c or 30x) can often help ward off the symptoms and prevent them from developing further. Another time that it is helpful is at the end of an illness. When you just can’t quite shake your current symptoms, but they are common symptoms, a dose of your constitutional remedy can provide resolution. It seems like the constitutional remedy is really useful for many circumstances, and it is. But sometimes, it doesn’t work. If you have a clear symptom picture pointing to a different remedy, you need to switch, even if it is temporary. So, for example, if you have rheumatoid arthritis, you may have one remedy to take on a daily basis, and another to keep on hand for when you have flare ups, especially if you have a history of flare ups being quite different than how you feel on a day to day basis. The goal in this situation is to not have flare ups, and to heal gradually. A common question people ask about their constitutional remedy is, “Do I need to take this the rest of my life?” The answer is, “Maybe”. Some people get over whatever is ailing them in short order and they never need another dose or another remedy. Other people need to redose their remedy from time to time (if it is a remedy that is taken occasionally rather than daily). But if you need to retake a remedy every six months, only occasionally seeing the homeopath for perhaps a stronger dose, that is much easier and better than a daily medication that costs thousands of dollars each year. 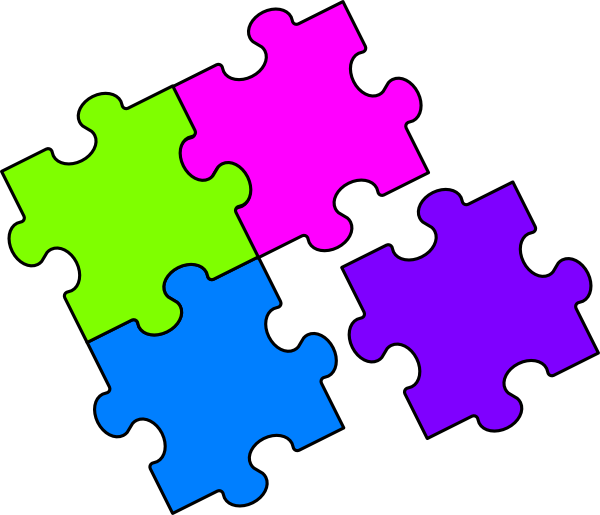 Finding a constitutional remedy is like putting a puzzle together. Another frequent question is, how do you know what remedy to give? Constitutional Homeopathy requires, in most instances, a fairly long intake appointment. You will be asked about your chief complaint and other things as well, such as dreams, foods you like or dislike, what it was like growing up, etc. Then the homeopath looks for a story that matches a remedy, out of 5000 remedies. Sometimes the correct remedy is really obvious. Other times it is not, and it becomes like solving a puzzle. Each subsequent appointment brings additional pieces to the puzzle. You may be starting to feel better even with an incomplete puzzle, but a completed puzzle makes you feel the best. For more information on constitutional homeopathy, call Kathryn. 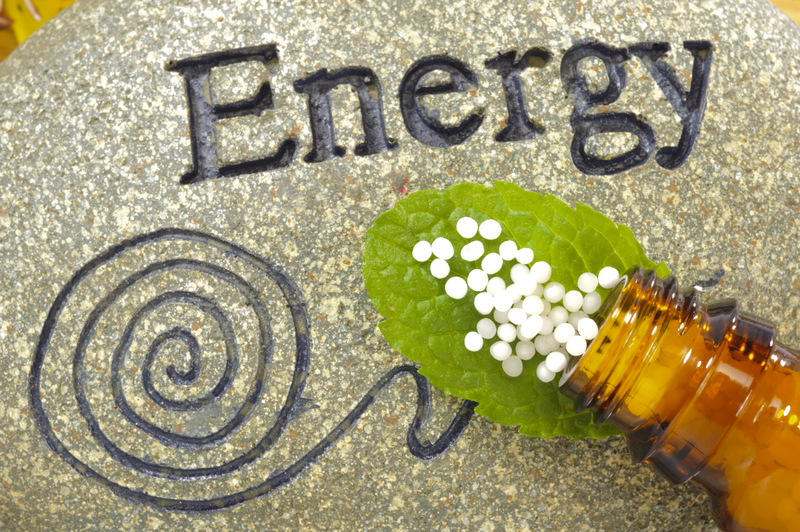 I have been seeing clients as a practicing homeopath for 13 years. Over the years I have been, at times, confused about all the ways people use homeopathic remedies. Some uses don’t seem very “homeopathic” to me. That is, they don’t follow the concept of Like Cures Like. Sometimes Like Prevents Like. Sometimes Like has nothing to do with Like. Fairly recently, I was able to put it together in a way that makes sense to me and to others who may be confused. I hope you find it helpful. I will be sharing this for you in a series of five blog postings. Feel free to ask questions in the comments section. Acute Care Homeopathy: Acute illnesses are viruses and bacteria that we “catch” that make us sick from time to time. Constitutional Homeopathy: This is homeopathy for Chronic Care. It could be used for Mental, Emotional, or Physical dis-ease. Detoxification: Homeopathic remedies can be used to help detoxify the body. A good constitutional remedy will do this. But there are also specific remedies that can be used to detoxify. Homeoprophylaxis: This is the education of the immune system so that you are less likely to be a good host for specific things that are “going around”. Adjunct care: This is a use for homeopathy that I have been studying fairly recently. Historically it has been shown that using adjunct homeopathy helps the constitutional remedies work better. Lets start with Acute Care Homeopathy, which is the way many people become introduced to the power of Like Cures Like. 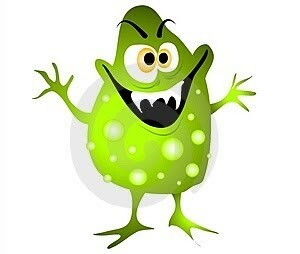 A happy germ ready to invade a dis-eased body. By definition, an acute illness is self limiting. This means you either get over it or you die. This can include colds, flu, gastroenteritis, all the childhood illnesses which we, unfortunately, rarely see, just to name a few. Acute illness can be really good for us, if they don’t happen too often. Like exercise builds the body and makes it stronger, fighting off a few acute illnesses now and again exercises our immune system. Fortunately, the vast majority of people get over acute illness, especially in this day and age of improved hygiene and knowledge about good food, lots of water, and not giving aspirin or any other anti-pyretics when you have a fever. Remember, fevers are good. They help the body get rid of the “critters” that are invading you. If fevers are a good thing, why give homeopathy when you have a fever? Most garden variety fevers are safe. However, people can get uncomfortable when they have a fever, and are more likely to take Tylenol or Motrin, which only extends the time you suffer from the acute illness. With homeopathy, you may still have the fever, but you will be more comfortable. For example, you may be less restless, less achy and your internal temperature, whether chilly or overheated, will become more tolerable. Your body will hang onto the fever as long as it is required to heal you. If on the other hand, you suppress the fever of a youngster with Tylenol or Motrin, the child may not get the rest he needs in order to get well. Suppression doesn’t equal absence of an illness. It doesn’t mean that you get to send the child to school. He or she is still dis-eased. I have also found as a homeopath that often fevers are repeated in a pattern. Perhaps a child will get it every other month, or always when the seasons change, for example. By giving an appropriate homeopathic remedy, it often breaks the cycle of illness. I have seen this countless times in my practice, with both children and adults. However, if you have an infant with a fever you need to be more careful. An infant’s immune system is not well developed and they can develop pneumonia and meningitis, etc. My youngest had a fever of 102+ when he was quite young. It was an ear infection. Homeopathy to the rescue. Although there may be disagreements, the general consensus seems to be, if your 0-3 month old child has a fever over 100.4, call the doctor. If your child is 3 – 6 months old, the threshold is 101. If your infant is older than 6 months old, call the doctor if his or her fever goes above 102. In addition to going to the doctor, be sure to call the homeopath. There are many remedies for fevers, but for young children, there are usually just a few to choose from, including Belladonna, Pulsatilla, Aconite, Chamomilla, and more. 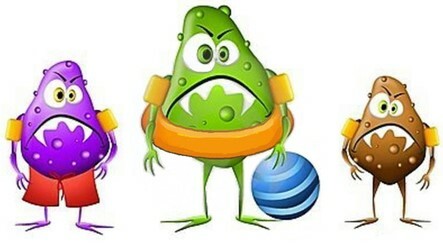 Sad Germs, after realizing the host body has taken a homeopathic remedy. Influenza and flu-like symptoms are common reasons to use homeopathy for acute illnesses. During the flu pandemic of 1918-1919, when influenza was killing 30% of certain populations who were infected, homeopathy had an astonishing loss rate of around 1%. Records show that those who died had tried conventional medicine first and it was too late for homeopathy to help. It should also be noted that MD’s were enamored with aspirin at the time and many died from basically an overdose of aspirin, because they would bleed out in their lungs from the aspirin and then develop pneumonia and die. 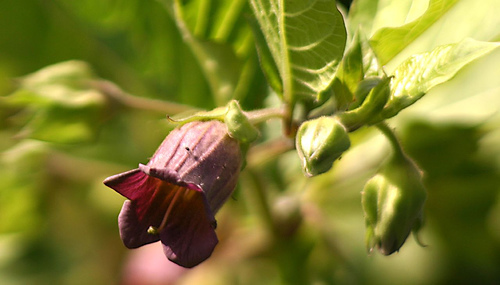 The remedy most folks needed during that pandemic was Gelsemium, followed by Bryonia. Even an inexperienced prescriber could recognize the Gelsemium symptoms. For more information about the historical success of using homeopathy with influenza, please click here to read this article from 1921. Scroll to the bottom of the page to find it. I also include injuries in Acute care, although old injuries often fall into the category of constitutional care. Arnica is most often the first remedy to take with an injury, but not always. So if Arnica isn’t helping, you either need a stronger dose or a different remedy. It may be Bryonia, Rhus Tox, or Ledum, just to name a few of the most common injury remedies. What about allergies? Are they acute illnesses? No. The seasonal allergies people are experiencing now are representative of a chronic illness with an acute exacerbation. It can be treated acutely, for a year or two, but eventually, only the constitutional (chronic) remedy will work. Acute care homeopathy is definitely an example of like cures like. Often the symptoms of a chronic illness will go away when someone gets an acute illness. So if the symptom picture changes from the chronic symptoms to the acute symptoms, a different remedy is required. Once the acute symptoms go away, the chronically ill person sometimes actually feels better for a few days after the illness. I have seen this in several clients over the years. At first I got confused and thought the acute remedy was a good chronic remedy. But I have since realized that it is just the body changing states. That changed state often sticks around for a few days after the acute illness seems to have disappeared. Often individuals with an acute illness always feel sort of the same way each time they get sick. In homeopathy, we call this the Complementary Remedy. It is the flip side of the Chronic state. I once had a high energy client who needed a low energy remedy each time he got sick. We are familiar with which remedies are complementary to other remedies, but not in most cases. Calling a homeopath when you are sick can often help lead to the discovery of your constitutional remedy. Sometimes, when you are feeling like you are coming down with something but don’t have clear symptoms, you can take a 30c dose of your constitutional remedy and prevent total onset of an acute illness. This would not be a situation of using a complementary remedy. If you get acute illnesses too frequently, it is definitely time for a constitutional remedy. More on this and other chronic uses of homeopathy in the next article in this series.